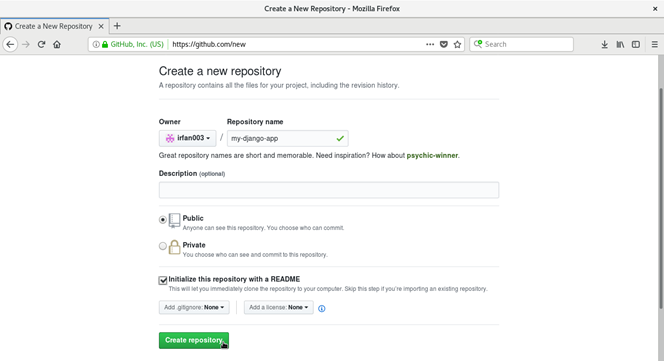 Github is a global repository system which is used for version control. While working with django, if there is need for version management, it is recommended to use github. 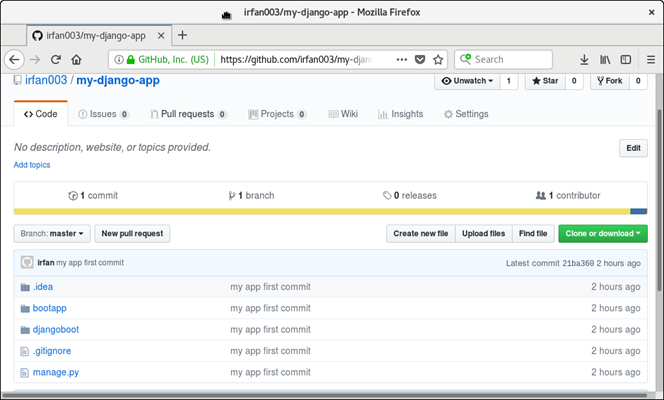 In this tutorial, we will create and deploy a django project to the github so that it can be accessible globally. Before deploying, it is required to have a github account, otherwise create an account first by visiting github.com. we use the following command to install git on our location machine. Use the following command to start the git. Provide global user name email for the project, it is only once, we don?t need to provide it repeatedly. 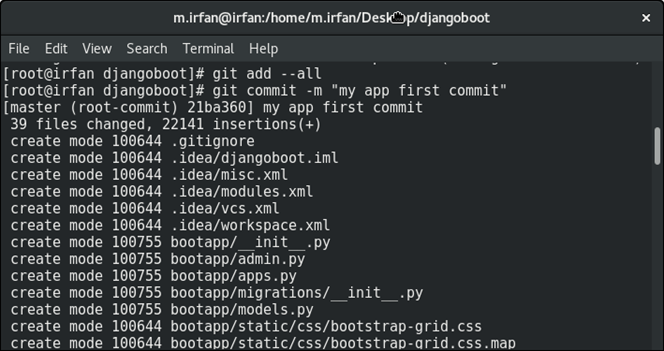 Create a file .gitignore inside the root folder of django project. And put the following code inside it. Check the git status by using the following command. It provides some detail to the screen. After saving, now execute the following command. $ git commit -m "my app first commit"
First login into the git account and create a new repository and initialize with README. See the example. My repository name is my-django-app. Click on the create repository button. Now repository has created. Now, use this url with the following command. provide username and password of git account. It will start pushing project to the repository. We can verify it. See the below screenshot. See, our django application has deploy successfully on github. Now, we can access it globally.